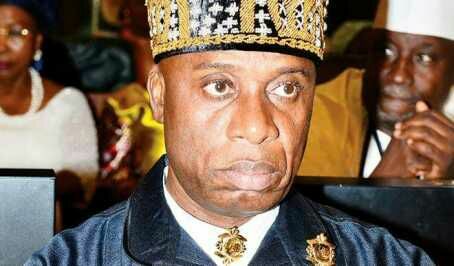 Wike lacks capacity to govern Rivers — Amaechi - BlogIT with OLIVIA!!! Minister of Transportation, Chibuike Rotimi Amaechi, has alleged that his successor, Governor Nyesom Wike, lacked the capacity and political will to govern the state.A statement yesterday by Amaechi’s media office said the minister stated this at the All Progressives Congress (APC) rally in Rumueme,Obio/Akpor Local Government Area of the state,ahead of the rerun National Assembly and state assembly elections slated for Saturday. The statement quoted Amaechi, a former governor of the state, telling his supporters not to be intimidated by ‘Wike’s threats’‎ but to come out en masse and vote for the APC. “Wike lacks capacity to govern. Somebody who just knows how to steal money is a bushman. Wike said I am corrupt; he should bring evidenceto show. I will bring evidence to show that Wike is corrupt. Wike did the Rukpoku/ Eneka road during my tenure. He did not complete it. I gave Wike the contracts to do all the roads around a hotel in the GRA but he failed to do them. I gave him 14 schools to give to Obio/Akpor people, he stole them, he lacks character,” Amaechi alleged.On the security situation in the state, Amaechi said: “When I was the governor, one thing that I kept thinking of was how to chase these criminals away but under Nyesom Wike, he meets with them. If Wike does not secure you people, the federal government will secure you.“If he doesn’t want to be ignored, he should go and secure you people because the federal government will no longer tolerate these killings in Rivers State,” he said.Amaechi and his successor, Wike, have been trading blames for long.